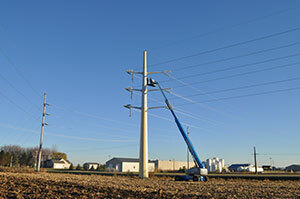 Nickelson Painting has done numerous industrial projects — from boiler-room repaints to utility power pole repaints. From small waiting rooms to full-size arenas! Our expertise in blast media surface prep and corrosion prevention, plus high-performance coatings, has made us a logical choice for industrial projects. Click HERE for a few project photos.